A few months ago, we found a hidden gem at a garage sale. Our neighbors had for sale a big box of collectible baseball figurines. Each came with it’s own baseball card, too. My 5 year old was ecstatic! He got to bring home a massive box of these characters posed at catching the ball, batting, pitching, and running. He played for countless hours with his new friends. Best of all, it opened up a conversation with my so about sports and what sports he’d like to try. My husband played years of baseball and talks often about his love of the sport. He goes to ball games whenever he gets a chance and enjoys when spring training comes to town. These really cute custom baseball cards are a perfect gift idea for dad this year! 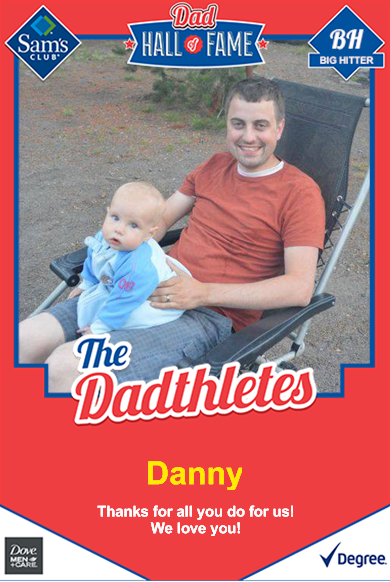 In honor of all the sacrifices, hard work, and effort dads put in for us each day, why not nominate him to join the Dad Hall of Fame with his own baseball card! 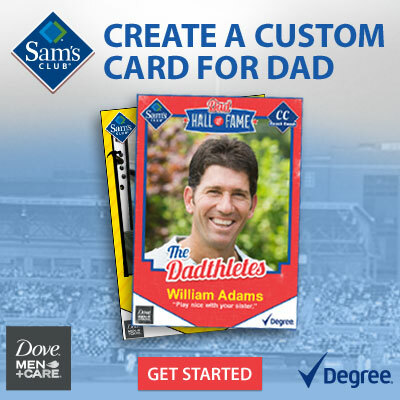 Thanks to Dove®Men+Care® and Degree™ you can create your own custom baseball card completely free and then get a free photo print of your card at Sam’s Club! After your card is complete, you can also choose to download or share your card with your friends on social media. 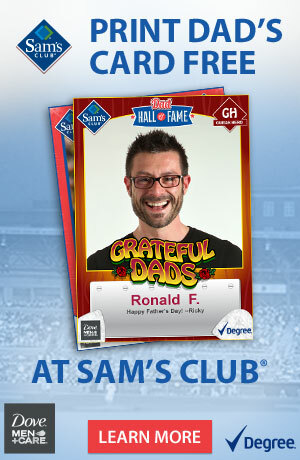 While you are making your custom baseball card, you’ll also find a free 1-day Sam’s Club membership pass. This offer is good for one complimentary day to shop at Sam’s Club now through June 30th, 2014. What team would the dad in your life be on? What a cute idea! These would make great gifts or could even be left at place settings for get togethers! The holidays will be here before we know it! What an adorable dad’s day gift! These are adorable! thank you for sharing for fathers day!!! This is such a cute idea for Fathers Day! My husband would love to have a St. Louis Cardinals card. such a cute idea for kids to give dad! My husband would be on the Yankee’s team.